Fancy working here as a warden this year? It’s that time of year when we need to find a fun, hardworking person to fill the warden role here at the campsite. We are looking for someone to join our busy, friendly team, based at the campsite near to Lewes. 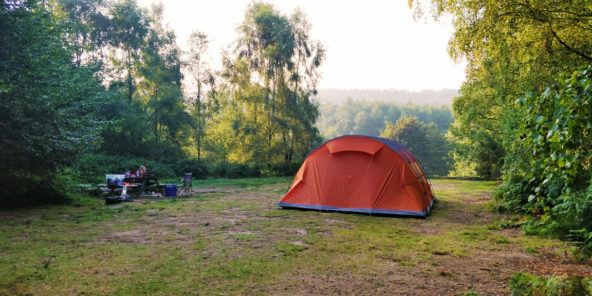 The Secret Campsite Lewes is one of a group of three wildlife friendly campsites in Sussex. The Lewes campsite has been voted in the Top 10 campsites in England by The Guardian. Our customers are real campers and their families, looking to enjoy a peaceful break in a natural setting with no cars or dogs. You can read a little more about us and our philosophy here. The position is for a Part-time campsite warden to work at weekends and during the holidays. You will be based in the Lewes campsite which is near Barcombe. The successful applicant will be the main point of contact at the campsite during reception hours 09:00-11:00 and 15:00-18:30 plus an hour cleaning the showers, toilets and washing up area from 11:00-12:00 each day. There is a 3 hour break in the middle of the day. This is a seasonal job from April to September. Pay £7.50 – £8.50 per hour, depending on experience. If you are interested in applying, please call Katie on 01273 401100 or email katie@thesecretcampsites.co.uk for more details. Applications close on the 15th March, interviews will take place on the Monday 18th March. Start date for the role is 30th March 2019.